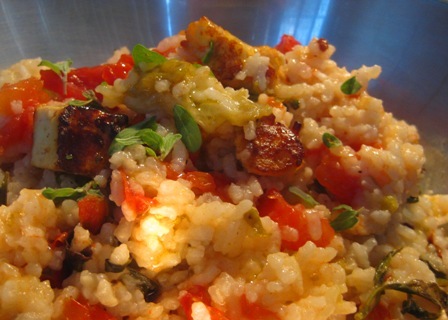 Last night I cooked a risotto of the dryish-variety, with tomatoes and some garden greens, along with a few pieces of golden pan-fried panir cheese. It was very tasty and looked spectacular. 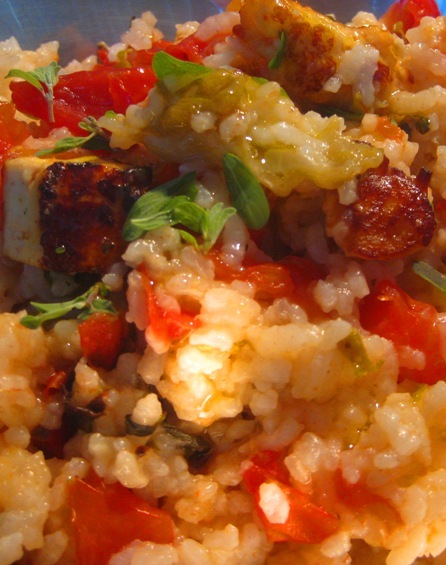 The rice I used was carnaroli, a large-grained starchy Italian rice well suited to risotto. I chose some fresh, very ripe trellis tomatoes and a handful of cherry and grape tomato varieties. 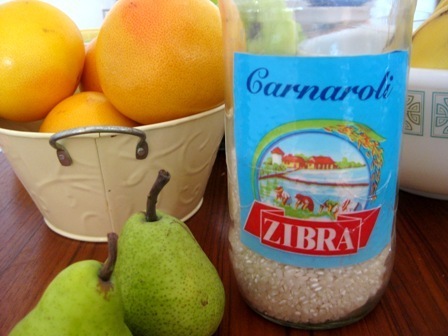 Carnaroli is a medium-grained rice native to the Vercelli province of northern Italy. Carnaroli differs from the more common arborio rice due to its higher starch content and firmer texture, as well as having a longer grain. Carnaroli rice keeps its shape better than other forms of rice during the slow cooking required for making risotto due to higher quantities of amylose present within. It is often described as being a “superfino” rice. I added no butter or cheese, just a fruity olive oil in generous quantities. I folded through some of the last of my garden basil and a sprinkling of heavenly-scented fresh marjoram.